If you are a human being, as you probably are, you might think it would be difficult to explain away the massacre of several dozen people. And you might think that it would be difficult to get justifications for mass murder printed in one of the world’s leading newspapers. You would, however, be mistaken. Propaganda defending murder is both simple to produce and alarmingly common in major media outlets. In order to understand how people can defend acts that should shock the conscience, today we’re going to examine and dissect a particularly galling example. Last week, 60 Palestinians were killed, and 1700 wounded (including being permanently disabled) by the Israeli military during the Nakba protest, when Palestinians attempted to breach the fortified wall surrounding Gaza. Rosner fully justifies the massacre, with no apologies, regret, or second thoughts. He believes the killing of these Palestinians was correct, and that they deserved to die. Now you might, as I do, think this attitude is so self-evidently barbaric that even to debate it is to surrender a little bit of one’s humanity. But Rosner’s position is not a fringe one, and the good liberals at the New York Times consider it within the boundaries of reasonable discourse, so unfortunately we have not yet achieved the kind of world in which such thinking is “self-evidently” immoral. (This reflects very badly on all of us.) I’d like, then, to go through Rosner’s argument paragraph by paragraph, to show how he constructs his defense of murder, why it might be persuasive to people, and why it fails and should horrify everyone. ROSNER: It is customary to adopt an apologetic tone when scores of people have been killed, as they were this week in Gaza. But I will avoid this sanctimonious instinct and declare coldly: Israel had a clear objective when it was shooting, sometimes to kill, well-organized “demonstrators” near the border. Israel was determined to prevent these people — some of whom are believed to have been armed, most apparently encouraged by their radical government — from crossing the fence separating Israel from Gaza. That objective was achieved. A few notes about what Rosner does here. First, he says that while it would be “customary” to sound apologetic about a massacre, he will avoid the “instinct” to be “sanctimonious” and admit that Israel had a “clear objective,” which it “achieved.” I put these words in quotes because each serves a particular function: “customary” makes it sound as if regret over deaths is mere arbitrary tradition rather than a humane reaction to suffering, “instinct” suggests that being saddened by suffering is irrational sentimentality, to be contrasted with cool reason. “Sanctimonious” suggests that feeling bad when your country murders people is mere self-interested virtue-signaling instead of the basic response of a moral human being. “Achieving objectives” is bureaucratic language, business language, a softer way to describe Israel’s actions that sounds rational (far more so than “shooting people through the neck,” which is what actually happened). We see, then, that in propaganda, as many words as possible should be carefully shaded in order to leave the impression that one is simply being reasonable and cool-headed, as opposed to the touchy-feely saps who cry when they see people being shot. Propaganda Suggestion #1: You are not ideological, you are just following Reason where it leads you. Those who disagree with you are soft, irrational, emotional, feminine. Propaganda Suggestion #2: You are being undermined and assaulted by radicals. It is said that the radicals are violent. It is believed that they are deranged and must be stopped. ROSNER: Of course, the death of humans is never a happy occasion. Still, I feel no need to engage in ingénue mourning. Guarding the border was more important than avoiding killing, and guarding the border is what Israel did successfully. “Ingénue”: grief is weakness, femininity, naïveté. Grief makes you a little French girl. Notice that the effects here are not achieved through arguments, but through subtle subconscious word association. Then, a false dichotomy: Either you believe in guarding the border, or you believe in “avoiding killing.” But there is no actual explanation of why those who crossed the border couldn’t have been arrested. Imagine if our own Border Patrol simply started shooting everyone in the head the moment they crossed into the United States. I dearly hope we would instantly recognize that “Well, guarding the border was more important than avoiding killing” would be no defense at all. In fact, Rosner’s op-ed is terrifying because the New York Times is presenting as reasonable an argument that, if accepted, could easily be used to justify the mass killing of undocumented people trying to cross into the United States. “Security” is so powerful and vague an idea that it can be used to justify absolutely anything. ROSNER: Why so many thousands of Gazans decided to approach that fence, even though they were warned that such acts would be lethal, is beyond comprehension. Excuses and explanations are many: The event was declared a “march of return,” supposedly an attempt by Palestinian refugees to return to their places of origin within Israel; it was tied in many news reports to the opening of the American embassy in Jerusalem; it was explained by referring to undesirable living conditions in Gaza and the lack of prospects for improvement; it was explained as related to intra-Palestinian political conflict and to the need of Hamas, the terrorist group that runs Gaza, to divert the attention from its many failures. All of those things may have some degree of validity, but they don’t explain why people joined these demonstrations. Gazans’ actions are apparently “beyond comprehension.” This single phrase is worth dwelling on. One step in dehumanizing people is setting them beyond our capacity to empathize with, whether it’s “animal” gang members or those with a “disease of the Arab mind.” Once people are placed “beyond reason,” then violence against them is easier to justify, because it’s The Only Language They Can Possibly Understand. This is constantly happening with Palestinians and Arabs generally: They are treated as unfathomable and fanatical, irrational monomaniacs without human complexity. Notably, Rosner sees his lack of comprehension as a sign of Gazans’ failure to be comprehensible rather than his own failure to comprehend them. Usually, motives are not totally inscrutable when we exercise empathy, as everyone is human, but propaganda is constantly attempting to portray the Enemy as fundamentally different from us, unreasoning brutes and barbarians who do not have sophisticated reasons for what they do. Propaganda Suggestion #3: The enemy is not reasonable like you. They cannot be understood, for their motives are not rational. They are dark, violent, terrifying, deranged, You only have two options: Kill or be killed. Any killing you do is therefore necessary by definition. Unlivable conditions in Gaza combined with the anniversary of Palestinians’ expulsion from their ancestral land certainly seems enough to me, but those things make Palestinians sound quite rational so naturally they can’t be accepted as explanations. ROSNER: Obviously, the people of Gaza weren’t seriously thinking that Israel would give them a “right of return” if they only marched in numbers large enough. And they probably realized that United States [sic] would not rescind its decision to open an embassy in Jerusalem, either. And they knew that for the economic situation to improve something more systematic must take place than protests. So why did they march, and why were some of them killed? They marched because they are desperate and frustrated. Because living in Gaza is not much better than living in hell. They marched against Israel because they dislike Israel, and because they cannot march against anyone else. Israel puts Gaza under siege, bombs it occasionally, and is still remembered as an occupying power and as the country whose establishment made many Palestinians consider themselves refugees to this day. They marched to Israel because the alternative to marching against Israel would be to march against Hamas, a regime whose actions and policies make Gaza suffer. But if people had dared do that, their government would no doubt have killed scores of them without much hesitation. One of the remarkable features of propaganda is that it often contains the seeds of its own refutation. In figuring out that someone is distorting the truth, sometimes you do not even need to have observed the truth with your own eyes, because they have inadvertently revealed it themselves. For example, in a new article on the Vietnam War, I quote extensively from a book defending the war in order to show why it was so immoral, because the book cites numerous examples of Americans committing atrocities (though the author then gives arguments for why these atrocities were justified and legal). Now, the phrasing here is contorted (“whose establishment made them consider themselves refugees” is a funny way of describing the mass expulsion of 700,000 people and “is still remembered as an occupying power” suggests the occupation is over when it isn’t). But a “siege,” well, that seems like a pretty good reason to be upset! Living in Gaza is not much better than living in hell and it’s under siege by Israel (which “bombs it occasionally”). One important tool for figuring out how to apply moral principles consistently is imagining how arguments would sound in other analogous situations. We understand, or at least I hope we do, (1) that conditions of Apartheid meant that violence against the state was justified, (2) that small-scale violence by the occupied does not justify mass killing by the occupier (3) that the occupier is inherently in the wrong to begin with, and (4) that generalizations about the inherently violent native mentality are just prejudice, are not supported by evidence, and are used constantly every time one is looking for a reason to keep a group of the powerless and oppressed from storming the gates. Propaganda Suggestion #4: The Enemy’s violence cannot possibly be a result of your actions. To suggest that you are responsible is to side with the Enemy. Violence directed against you is unjustified. Irrational. Terrorism. Violence directed against them is restrained. Proportionate. Unavoidable. Self-defense. Reading history is useful for learning to recognize spurious arguments, because the same tactics are invoked by governments over and over. The Civil Rights Movement were constantly being called radicals and agitators. Putting “demonstrators” in quotes is a good way to delegitimize a protest without having to engage its arguments. Rosner says the Palestinians’ actions don’t make sense, since they must have known their demonstration was futile; “you must be irrational, since you can’t possibly win” is another time-honored method for trying to portray dissent as insane. ROSNER: Israel has a soft belly. Unlike all the other regimes in the Middle East, it accepts basic Western values and thus tries to minimize casualties. It also has an impressive military power, so it’s easy to accuse it of “disproportional response.” And of course, it is the country that could lift the siege on Gaza. Israel is just a big soft teddy. Here we see a classic technique for justifying crimes by governments: The difference between us and them is that we have values while they don’t. Current Affairs writer Daniel Walden has an article in our new issue on why the whole idea of “the West” and “Western values” is a fiction, which I won’t go into more detail about here. But as Norman Finkelstein has pointed out, even Henrich Himmler used the formulation we kill but we are sad about it and we do it only because we are so good and decent. Himmler said of extermination that “to have executed this ghastly charge and to have remained decent, it has earned us a glorious page in the annals of history. We have the moral right, we have the duty to our people to kill this people who would kill us. We have carried out this most difficult task out of love of our people and we have suffered no defect within us.” I say this not to make comparisons with Nazi actions, but to make a point about how Look-How-Much-We-Care political rhetoric can’t be trusted, because even people who do evil things will make noises designed to show that they are actually virtuous and decent. Propaganda Suggestion #5: Tell people not to be ashamed of violence against the enemy. Shame is squeamishness, cowardice, betrayal. 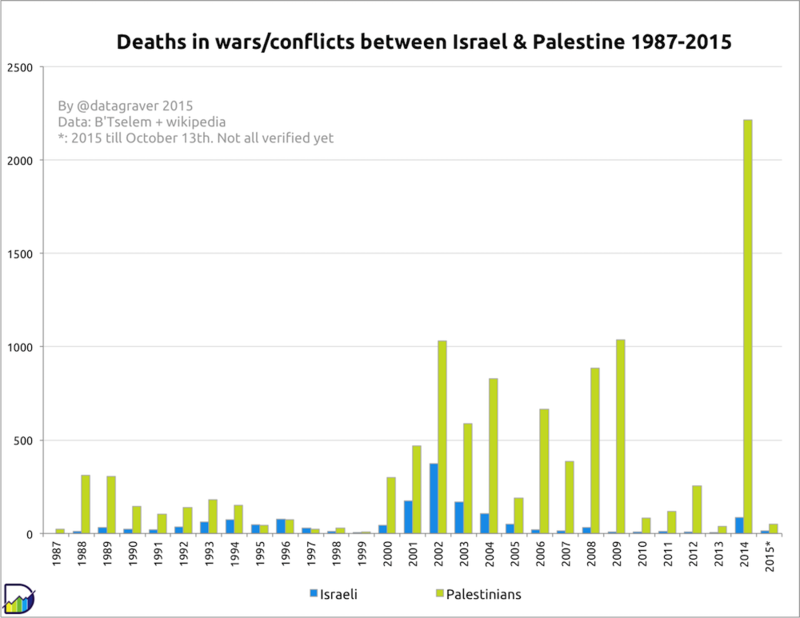 The question of whether Israel “minimizes casualties” and engages in “disproportional response” is, of course, a factual one, rather than one that can be settled through arguments like “We have good Western values” and “our military is big so of course people accuse us of being disproportionate.” The first piece of evidence that Israel does not, in fact, attempt to “minimize casualties” is… all the casualties. That doesn’t settle the issue automatically, but for an incredibly thorough look at whether this is true, I strongly recommend Finkelstein’s new book on Gaza. 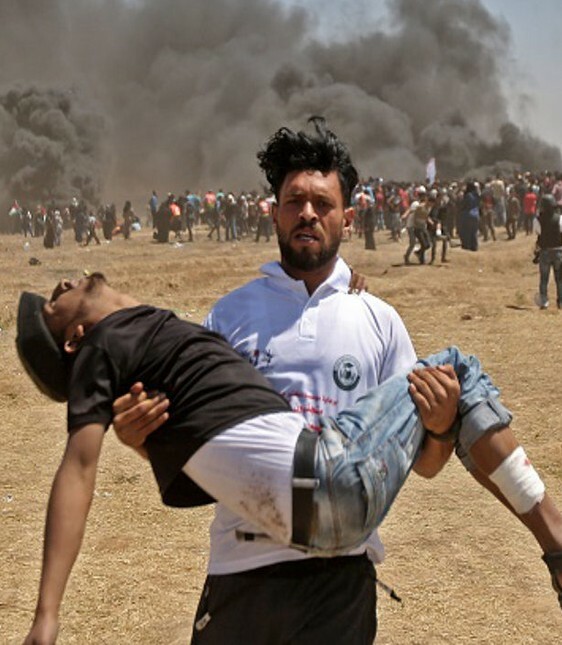 Finkelstein goes through each of Israel’s major operations in Gaza, and examines whether the claim of casualty minimization actually holds up. This is important, because often the argumentation used to defend Israel is circular: Israel must have minimized casualties, because it has the most moral army in the world. Good people do not commit crimes, we are good, therefore we could not have committed a crime. IDF veteran testimonies from Breaking the Silence reveal “yawning gaps between what the IDF and government spokespersons told the public about the combat scenarios, and the reality described by the soldiers that took part in the operation.” This may be hard to contemplate, if you’re convinced that the World’s Most Moral Army™ could not tell a lie. But you don’t have to think Israel is uniquely duplicitous and malevolent, it’s enough to simply accept I.F. Stone’s warning that all governments lie and Israel is likely to be just as flawed, callous, and unconscious of its own biases as every other powerful state in the history of human civilization. Propaganda Suggestion #6: The difference between us and them is that we cry when we shoot. With us, killing is the exception, with them it is the rule. We have good civilized values and love life. They have barbaric values and love death. ROSNER: Critics of Israel tend to mix two types of complaints about its actions in recent days. Why did Israel shoot, rather than use other means of preventing people from crossing the border? And why does Israel isolate Gaza, making its economic situation so dire and its population so desperate? These criticisms must be answered separately, as one — the shooting — is tactical, and the other, the isolation, is strategic. Just one quick point here: “critics tend to mix.” Rosner could say “there are two main criticisms.” But “critics tend to mix” implies that the critics are confused. Rosner is not “responding to the two major arguments,” he is helping poor naïve, sentimental, baffled people understand reason. Phrases like this may seem trivial, but I want to convey just how important “framing” is (just as much as actual substantive argument) in propaganda. The arguments themselves are often weak, with critical points left unaddressed, but the arguments only do part of the work in persuading the audience. Subtly hinting that everyone who disagrees with you is a confused weepy twerp is equally crucial. From the beginning, “undisputed,” so anyone who argues with anything in this paragraph is an irrational idiot who hates facts. Halfway through, though, we go from facts to inferences and speculation. The marches were partly organized by Hamas. Hamas is not peaceful. Therefore the marches were not peaceful and were a provocation. Therefore they were an attack. Therefore there was no choice but to behave as if the country was under attack. Slippages like this occur a lot in propaganda. You start with an uncontroversial-sounding statement like “Every country has the right to defend itself against violent attacks from outside,” but by giving particular words expansive definitions, you can defend something that is, if analyzed honestly, extremely controversial. If “the right to defend itself” means “use any amount of force it feels is necessary” and “violent attacks” mean “teenagers setting tires on fire” or “people cutting holes in a fence” then the concept of “national self-defense” comes to mean “the mass murder of people who have caused no actual injuries to anyone” without anybody noticing the drift. Propaganda Suggestion #7: All you want is what any reasonable person would want. You just want to protect yourself. Is this so much to ask? The facts on the ground disappear so easily. Once we have invoked the word “Hamas,” we need not inquire into how the deaths occurred, whether the rules of engagement were followed, what the 60 people were doing when they died, etc. We can draw inferences that the deaths were justified without knowing exactly what happened. Yet the closer we do get to the actual facts, the less comfortable these inferences seem. Sky News traveled to Gaza and reported that Israel claims the right to “shoot anyone approaching the border fence during the protests, having warned them with leaflets,” though its rules of engagement are secret. A former IDF sniper said that Israeli gunmen were “shooting at unarmed Palestinians when they are 300m away from the fence” and pronounced himself horrified. 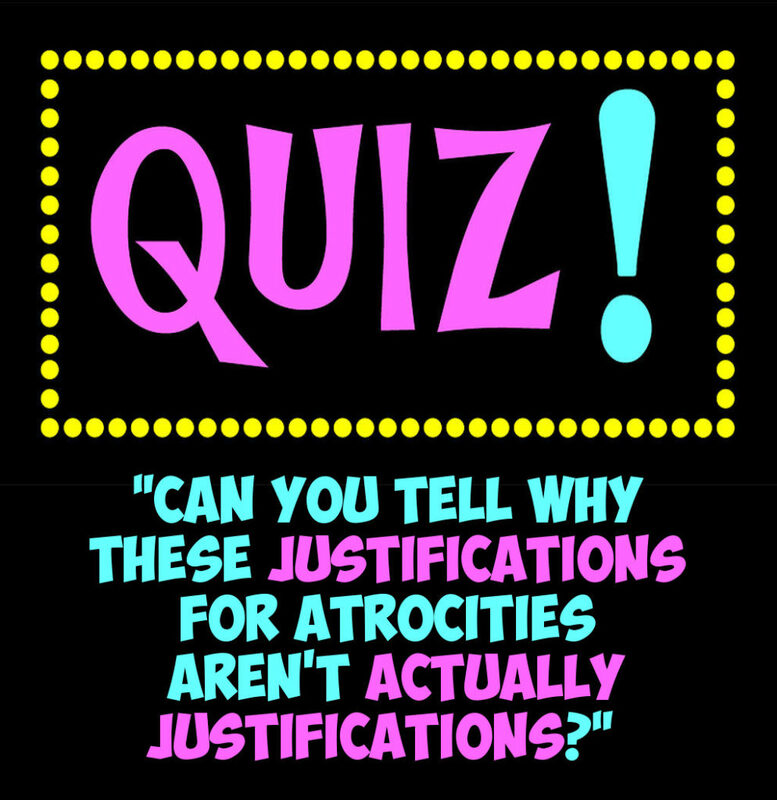 Can You Tell Why These Justifications For Atrocities Aren’t Actually Justifications? ROSNER: Israel had to take precautions against its soldiers and citizens being killed or kidnapped. It had to make sure that thousands of Palestinians did not force a total shutdown of southern Israel until all infiltrators were located and detained. Knowing Hamas and its tactics, Israel assumed — for good reason — that letting the marchers cross the fence and detaining them later would have had worse consequences: Hamas operatives masquerading as demonstrators would hurt Israelis. Again, slippage: “take precautions” = shoot from afar, make no attempt to arrest. And again, it’s useful to consider a parallel. Imagine that Donald Trump’s border patrol massacre 62 people trying to cross the U.S. border from Mexico. Trump says 50 of the 62 were MS-13. MS-13 agrees. Asked why it was necessary to kill them all in cold blood, Trump says: The U.S. must take precautions, and make sure that an influx of violent infiltrators did not force us to totally shut down the southern half of the country. Knowing MS-13, we assumed that people would get hurt if they crossed. You can see here that none of this answers the actual question posed: “Why were they shot?” Another classic feature of propaganda: Claim that you were “forced” to do something, that you had no agency. Shutting down the entire Southern half of the country because a handful of 19-year-old Gazans wangled their way through a fence would be an insane overreaction, but Rosner suggests it’s what would have to happen. Propaganda Suggestion #8: There is no alternative. What is the alternative? Can you think of one? No. Because there is none. ROSNER: Of course, the question of Israel’s larger policy toward Gaza remains. But the answer is hardly a secret: Israel pulled out of Gaza more than a decade ago. All it wants from Gaza is peace and quiet. But what it gets from Gaza is different: It is an attempt by Hamas to build a base for violence against Israel. To prevent this, Gaza must be isolated until its leaders are replaced or until they realize that their war against Israel hurts the population they rule more than it hurts Israel. And yes, this means that people in Gaza suffer more than they should — not because of Israel, because of Hamas. Rosner says (1) that Israel pulled out of Gaza and left it to its own devices and (2) that Gaza is under “siege” and that Israel is trying to isolate the population so that it suffers to the point where it will oust its leaders. Even David Cameron, who Haaretz called the most pro-Israel British prime minister ever, called Gaza an “open-air prison,” and if you are keeping people in a prison, it does not matter whether the guards are walking around inside or standing atop the walls. It is clear that Gaza is not being given autonomy, and in that situation one can ask whether “building a base for violence” might be justified. Certainly, if a neighboring country were controlling American airspace and putting us under siege in an attempt to force us to change our leadership, we would feel that violence was defensive rather than offensive. ROSNER: It would be dishonest for me to pretend that the interests of Palestinians are at the top of the list of my priorities. I want what’s good for Israel and I expect my government to have similar priorities. Nevertheless, I believe Israel’s current policy toward Gaza ultimately benefits not only Israel but also the Palestinians. Nationalism is an intoxicating drug. It allows us to say things that, from a neutral perspective, would sound morally horrifying, but which seem innocuous. Valuing the lives of your countrymen over others can seem natural and defensible. But the consequences of this thinking are horrific. In the Vietnam War, for instance, Americans valued American lives so much more than the lives of Vietnamese people that many felt almost any amount of Vietnamese deaths were justified if they prevented one American death. Because Americans care less about people in Mexico, we have paid zero attention even as our own country’s actions have contributed to horrific violence south of our border. Prioritizing your own nation’s self-interest is particularly damaging when your nation happens to already be comparatively wealthy and powerful. Rosner’s thinking, which devalues the lives of people who are different from him, is a recipe for the casual infliction of suffering. We can see the fruits of this reasoning in Rosner’s defense of the massacre: Any amount of Palestinian death, however large, was justified to prevent any amount of risk to Israelis, however small. There are two reasons for that. First, denying Hamas any achievement is the only way to ultimately persuade the Palestinians to abandon the futile battle for things they cannot get (“return,” control of Jerusalem, the elimination of Israel) and toward policies that will benefit their people. If Hamas is rewarded for organizing violent events, if the pressure on it is reduced because of the demonstrations, the result will be more demonstrations — and therefore more bloodshed, mostly Palestinian. Remember that 700,000 Palestinians were expelled from their land. The reason that people like Rosner say that the “right of return” means the “destruction of Israel” is that if Palestinians were allowed to return to the land their families were expelled from, their demographic numbers would prevent Israel from being able to maintain an ethnostate. It is again worth considering a parallel: In South Africa, we would give little credence to the argument “But allowing full integration would destroy the ethnostate.” As a practical matter, of course, the right of return is indeed almost certainly “futile.” But “Under no circumstances are we going to grant your demands” is not the same as “Your demands have no merit,” and note that Rosner evades the question of whether the Palestinians have a just claim and instead addresses whether they have a pragmatic one. Propaganda Suggestion #9: We have tried everything. We have given everything we can give. Anything more would literally destroy us. Why do they insist on exploiting our generosity? What more could we possibly do? 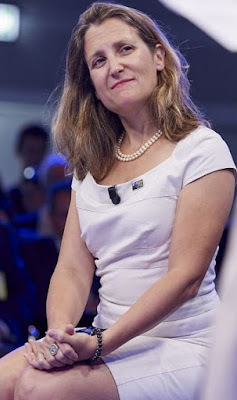 Propaganda often conflates “can not” with “will not.” “Israel cannot solve this problem for you” is what is said; what is meant is “Israel refuses to solve this problem.” This is what corporations do all the time: “I’m sorry, ma’am, I’m afraid we can’t do that, it’s our policy” just means “We have made a decision not to do that.” Propaganda shifts responsibility, not by providing compelling moral arguments, but merely by declaring over and over that the other party is the one getting in the way. We have reached the end of Rosner’s defense of murder. It did not succeed in defending murder. We still don’t know why it’s alright to have snipers fire at an occupied people when they try to break out of their festering prison. We certainly know that Shmuel Rosner does not feel bad about it. We also know that “the Jewish sages” sound like their wisdom is overhyped; plenty of people are kind to the cruel and have never ended up being cruel to the kind, this ancient aphorism just sounds good but is actually stupid. But we have not heard any compelling arguments for why a country can lay siege to a million people, “bomb them occasionally,” and then kill them when they show up at the wall to throw rocks. Propaganda Suggestion #10: The Enemy’s suffering is their fault. They made you hurt them. If they had not provoked you, you would not have had to kill them. In fact, the fact that they made you hurt them makes them even more monstrous. I need to make a confession to you, though. Let me tell you the honest reason why I have spent so much time pedantically combing through an op-ed that plenty of people would just write off as “disgusting.” I did it because, for a moment, I almost found Rosner persuasive. Or at least, he nearly sounded reasonable; after all, his writing was clear, he had links to sources, he followed the conventions of a Sober-Minded New York Times Op-Ed. And that terrifies me. The truth is, propaganda is effective. The arguments don’t have to stand up to scrutiny; it works in part simply by repeating, over and over, “We are Good, the Evil wants to destroy us, there is no alternative there is no alternative there is no alternative.” Israel-Palestine is not one of the issues that occupies an especially significant part of my time, and ordinarily I would not feel the need to point out at length that yet another human government is abusing people and calling it justice. Rosner’s op-ed, though, gave me the chills. I saw a terrible future in it: If fascism ever comes back full-force, you will see all of these tactics hauled out to justify whatever bloodshed ensues. I don’t think that Mexican border example is too far away from reality. Donald Trump is already doing everything he can to brutalize and devalue immigrants, it’s not unrealistic to me to think that if things got worse, after a few years there could be killings. That’s why it’s so important to figure out how this stuff works, how language is used to present a picture of the world in which things that are horrific in reality become moral in the mind. 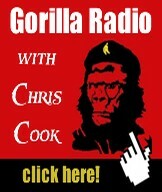 If you like Current Affairs, check out our new podcast!